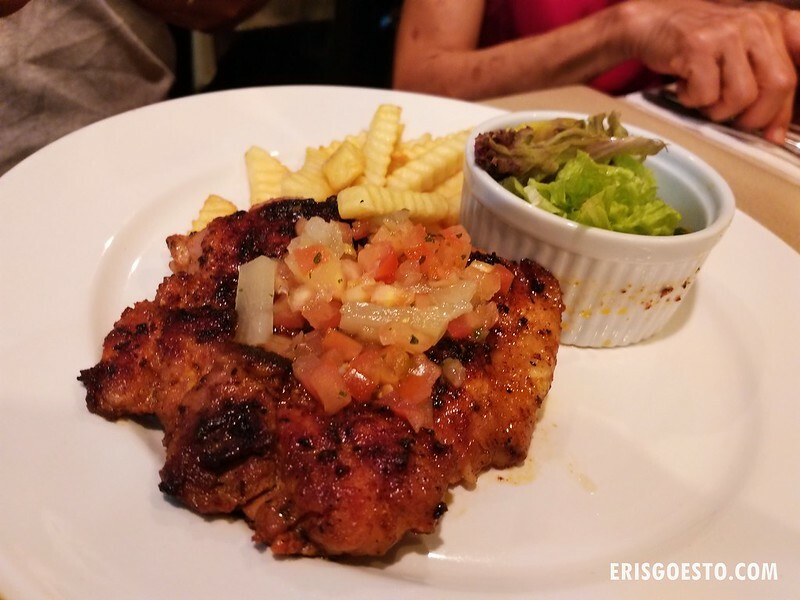 With its laid back vibe and abundance of cheap, tasty street food, Ipoh is probably the last place you’d expect to find a fine dining restaurant of any kind. But despite having been here dozens of times since childhood, this city always finds a way to surprise me. Instead of the usual Chinese meal for Chinese New Year, my aunts arranged for something different – a 3-course sit-down Western dinner with all the trimmings: appetiser, main course, dessert, fancy settings, waiters in smart uniforms, a maitre d’. The place? 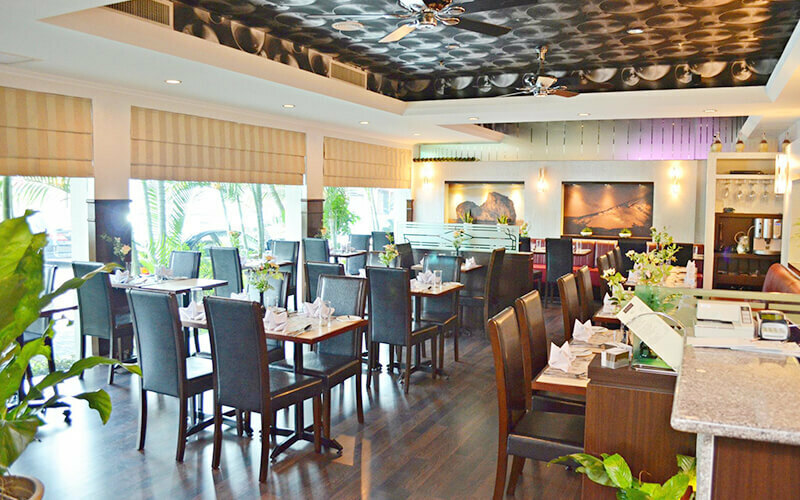 The Limestone’s Restaurant, tucked within the 3-star RegaLodge Hotel in Greentown, which specialises in European and French Nouveau cuisine. Cosy interior, with wood flooring, dark wood furnishings and warm ambient lighting. The settings are a bit dated, but it gives off an old, ‘colonial’ vibe, similar to establishments like Coliseum in KL. Since we were a group of close to 20, they combined the smaller tables to form a long one. Food was served promptly upon our arrival. 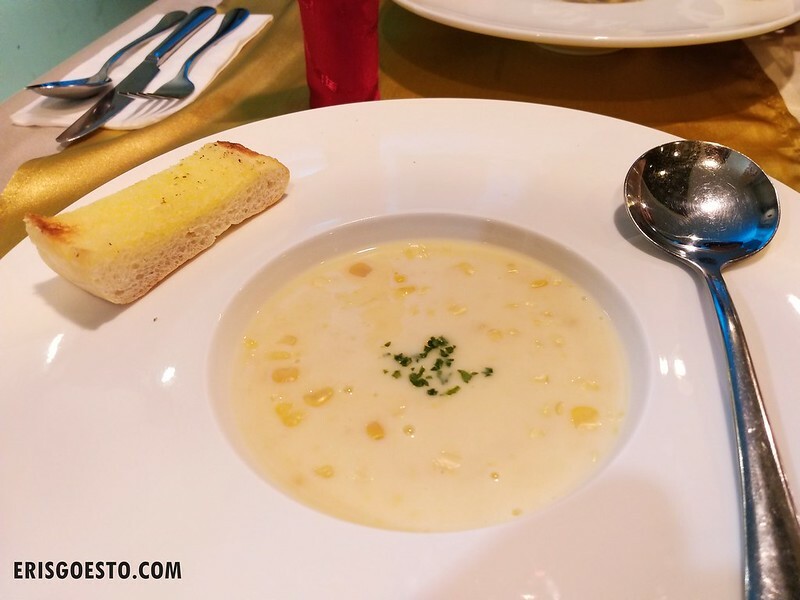 For appetisers, the soup of the day was cream of corn. Lots of corn, creamy but not cloying, albeit a tad sweet. Came with a piece of bread for dipping as well. Since we were having the set, there were three mains to choose from. 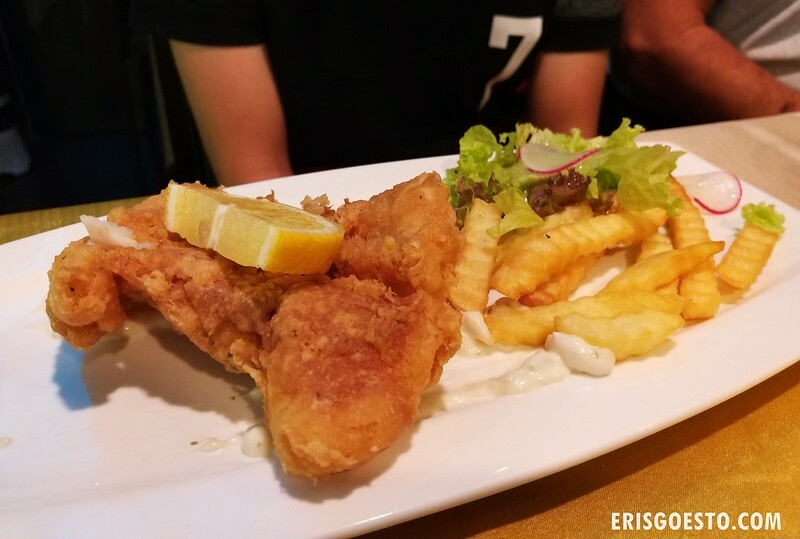 The Bro had Fish N Chips – two pieces of battered and deep fried fish fillet served with salad and chips. The fish was surprisingly good – light, crisp batter, and the fish inside was fresh and juicy. Portions might not be enough for big eaters though. Pop’s had the grilled chicken, also served with chips and salad. The chicken was nice and tender, but a sauce would have been good. The slightly charred bits of skin gave it added flavour. Moo and I had the Spaghetti Bolognese. 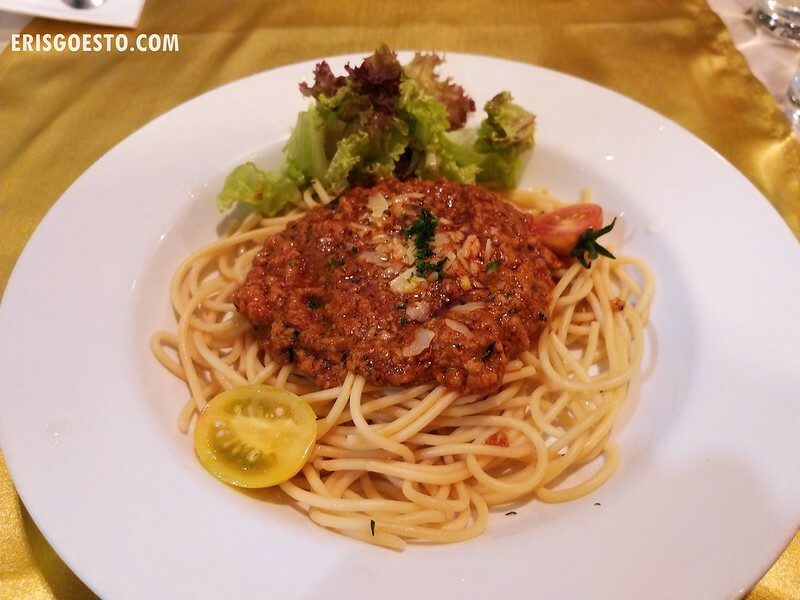 The pasta was done al dente, and though the dish was decent overall, I felt like the minced meat could have been less salty. To round off the meal, a choice of chocolate or vanilla ice cream, topped with minced meat. At only RM20.90+ per pax, this must have been the most affordable fine dining meal I’ve ever had! 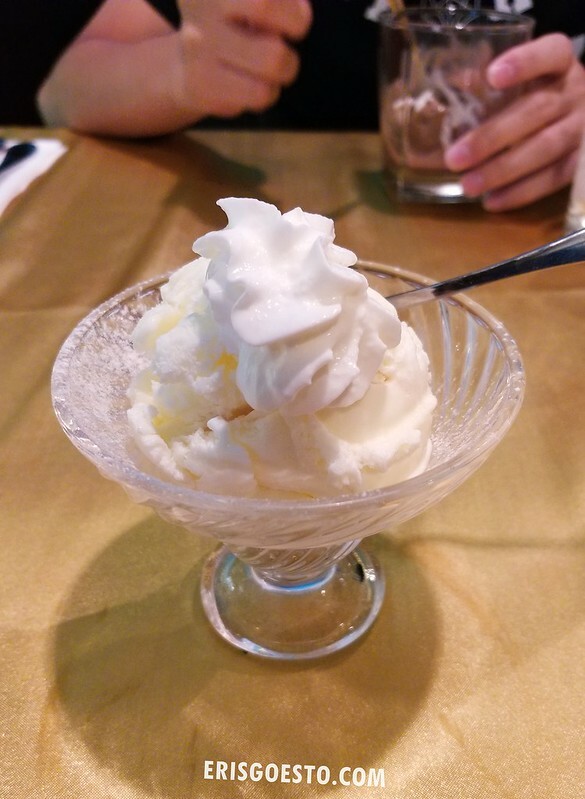 I think the restaurant tries its best to give patrons a good experience – service was top notch, waiters had impeccable manners, food was tasty. Their regular menu has more options that are more befitting of fine dining cuisine, including escargot, lamb leg, lobsters and truffle carpacio. Opening hours: Breakfast (7.00am – 10.30am), Lunch (12.00pm – 4.30pm), Dinner (5.30pm – 10.30pm). Closed Tuesdays.